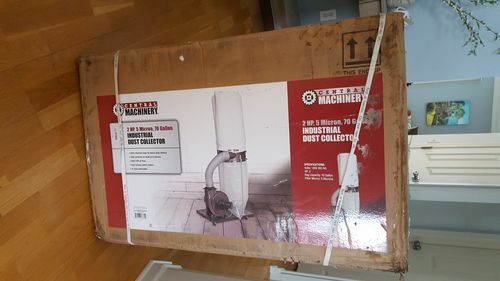 I’ve done my research and saved my pennies and the best I can do is the Harbor Freight 2HP dust collector. 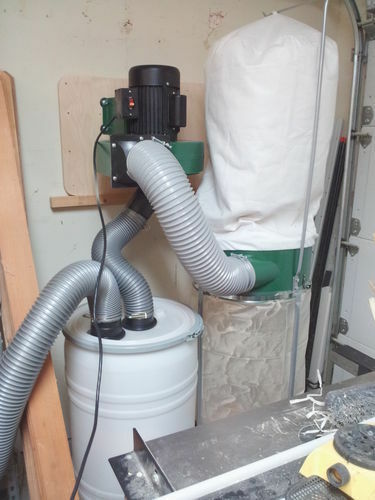 But I’m in desperate need for better dust collection as my shop vac isn’t cutting it. 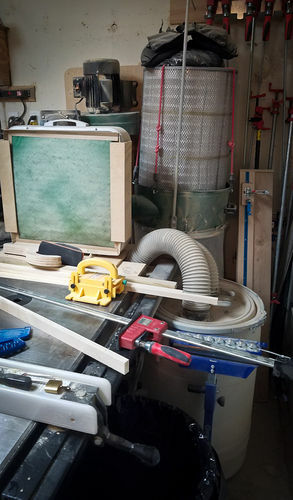 I decided on the Harbor Freight 2HP unit, the green one model #97869 (20Amp). I call my local harbor freight, give them the model number, they have 2 in stock. Great, drive there, get the tag, bring it to the register and they bring up a gray model #61790 (15Amp). I explain the tag has multiple model numbers on it and I need the green one #97869. None in stock. Called 3 other stores in driving distance, they all only have the #61790. I ask if I can order online and ship to store to save shipping costs, they say I can, but they will only ship what they have in stock, which is the #61790. So I said thanks and left. Is Harbor Freight phasing out the older 20A version (#97869)? I was going to place my order online and eat the shipping cost – they clearly have both models listed and I can pick between the two – but are they just going to ship me the newer nerfed version (#61790)? I don’t want to go through the hassle if they are going to blind side me with the wrong part and likely charge me for return shipping. It seems like the 20A version was a great deal but the 15A version changes from a good value to something that performs cheaply. I would rather save more and avoid the latter but it will take some time. Please don’t turn this into a not-a-real-20A-motor / harbor-freight-bash thread. I am a mechanical engineer and know the difference between motor amperage/HP, impeller size, filter efficiency, etc. I’ve done my research, this is what the budget allows. I’m only inquiring about how Harbor Freight works and if anyone knows their plans with these models and what stock is like. Thanks in advance, would like to place my order soon. Ok, so most of my research was between the oldest one and the newer (at the time) #97869. Looks like people are generally satisfied with the newest gray #61790, and there have never been any motor nameplates to actually confirm motor power on either just that the manual says 20A peak and the new one had a sticker on the drum that says 14A. Maybe it was a change, maybe not. Still, I’m going to be modifying this unit and it would be nice to know if I can still get the #97869. If I remember correctly, my green one may have said 20 amp but it really only drew around 13. The grey one isn’t any less powerful, it’s just now showing a more realistic power draw. The grey one isn t any less powerful, it s just now showing a more realistic power draw. Since you are aware of the impeller discussion, then as Woody stated the motor may indeed be smaller than other units since it never used the extra HP. The question is would you ever consider the 12” upgrade in your path? If so the 15A motor probably would not cut it as I believe the 12” impeller pushes pretty close to the 20A current limit. The other option to check is there are any on Craigslist. In my area there are a steady stream of those and other 1.5HP DCs for sale. The HF units are usually ~$100-125. 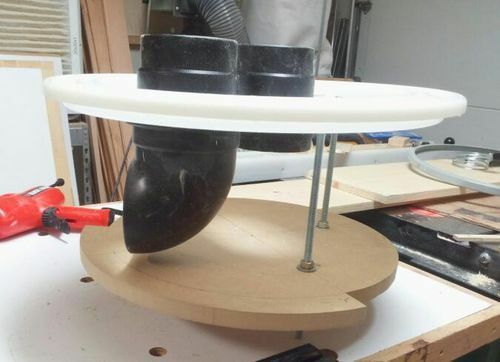 Yes, the 12” impeller would be on the future upgrade list… after the cartridge filter and a separator. But yes this is why I’m concerned about making sure to get the bigger motor. Interestingly, doing the math P=V*A, and converting 0.746kW/HP, I’m getting 2HP = 12.43A @ 120V, so the 13A number makes sense. Maybe the 20A rating on the older green model was some sort of peak as it was labeled, obviously consuming more at startup. This is assuming input power, not accounting for motor efficiency or fan efficiency (or load factor). Throw in motor efficiency and you’re up around 15-16A input for 2HP mechanical power. So maybe the unit labeled 15A is still about the same size and it was just a labeling change. I have an older one that was listed 20A, but the real life draw was 13A based on my amp meter. May be they are now listing it as 15A to be more accurate. They still list the HP and air flow the same. I’d get the gray one and not worry about it. Edit: By the way on start-up my amp meter goes to about 70A for about a second. Just a quick two cents worth. I have the green model purchased several years ago. It would not run on a regular 15amp 110 volt circuit. I had an electrician run a dedicated 20amp circuit and it has performed great ever since. I modified the DC by mounting it on the wall, switching to a Wynn Env. 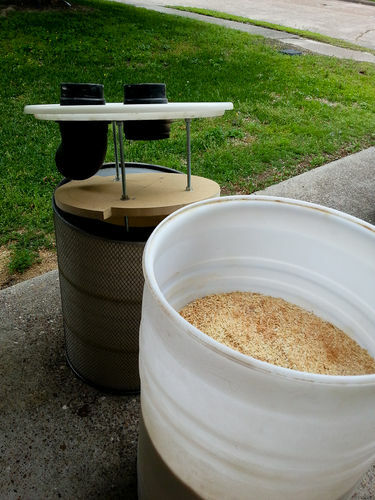 Filter, and built a Thein inspired knock out separator, which works great. Well until it fills up and I forget too check the level! See, this is what makes me hesitate, haha. I have a 20A circuit it can run on so no issues there. 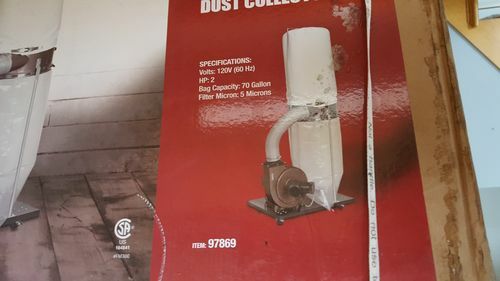 Looking at prices, it’s about a $15 difference after various discounts and shipping charges between buying the collector in the store and a hose from HF online, or just buying them both online with the chance of getting a #97869 20A variant. I can eat $15 if there’s a good chance I’d get the older, higher amperage model. My question is, do you think they would ship me one, or would I get the newer 15A version? If there’s a high likelihood of the latter, I’d probably save the cash and just go get it at the store. Ok, I figured a discount place like this would have bad customer support, but I called the number on their website anyway (Saturday right now) and to my surprise someone actually picked up. I explained the situation and she confirmed they actually have a stock of about 800 of the old green #97869, and this is indeed the model that would be shipped to me if I were to order it online. So, that’s what I’m going to do. Honestly, $20 shipping on 100lbs is not a bad deal. Bummed I couldn’t get it in store, but glad I could find the right model I was after. I will keep you all posted as to which model actually shows up when it gets here… fingers crossed. Forgot to say, thanks for the used suggestion – I looked around here on both craigslist and facebook marketplace and all I could find were suitable units that were 800% overpriced, or ancient stuff I didn’t want to mess with, so back to the new option it was. Whelp, box showed up today and at first I thought I got the new gray one, but it shows model number #97869, and the base reflects the solid base of this model and not the tubular base of the newer #61790. Time to do some assembly and we’ll see what I really got… Maybe they’re just merging the two now using parts interchangeably. I am in the same predicament as jamsomito with some confusion about the two dust collectors. I went to my local harbor freight today, bought what I thought was the “green” model. Although the box had the proper model #97869, I couldn’t find anything on the box stating the motor was 20 amps. Then, upon opening the box, I noticed the color of the unit was grey! It did have the solid base, though. However, I could not verify the 20 amp rating anywhere on the unit itself. Has anyone had this same experience? Has the shift been made to all 15 amp grey units now, no matter the item number (97869 or 61790)? Second question: has anyone upgraded to the rikon impeller with the 15 amp unit? Can it handle the load?